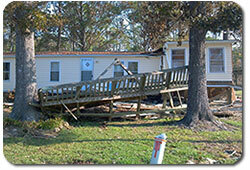 New Bern NC property damage can happen in a number of ways and can have a number of sources. NC is historically a frequent destination for Atlantic hurricanes. Even though we experience fairly predictable hurricanes, New Bern experiences more than just hurricanes, and our New Bern Public Adjusters have worked with them all before. 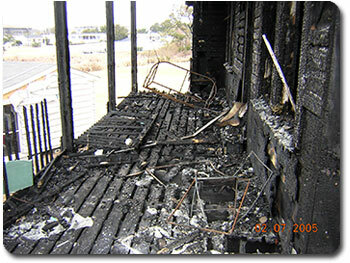 Frequently NC property damage claims are from just one cause such as a house fire. But other times, as we experienced as a result of Hurricane Irene in 2011, can be more complex with hurricane damage that involves flooding and wind damage. Following are some causes of local New Bern homeowners insurance claims and where American Property Loss local New Bern Public Adjuster NC services can help you! Bringing in an experienced local New Bern Public Adjuster on your side to give you adequate information can maximize your property claim. Bringing a New Bern Public Adjuster in isn’t about trying to get more money than your claim is actually worth. Our Public Adjusters focus simply on getting the true value of your property damage. We itemize properly, we ask thorough questions, we document your loss. Too many times, the insurance company’s claim adjuster is responsible for a number of cases and may overlook smaller items, and yes,even some larger items can be missed. If a number of those items are missed, you can end up with a whole lot less money than you need to rebuild your home or property. Our New Bern Public Adjusters work to ensure that we find all the damage and it’s accurately represented in your NC property damage claim. We SOLVE your NC Property Damage Claims problems now! The insurance company’s adjuster’s income is received from your insurance company, so the staff adjuster doesn’t have any real incentive to do a lot of behind the scenes digging that may end up being very important to your property damage claim. For the same reason one wouldn’t hire the same attorney as their spouse in a divorce settlement, it gives peace of mind to bring in your own people in any New Bern homeowners insurance claims process – and that would be American Property Loss’ New Bern Public Adjusters. Following are some of the causes of local NC homeowner insurance claims and where American Property Loss New Bern Public Adjusters can help you! A peril, as referred to in a homeowners policy, is a cause of NC property loss, such as wind or ice. A North Carolina homeowners policy normally provides coverage for the perils of fire, lightning, and extended coverage. Extended coverage includes coverage for the perils of windstorm, hail, explosion, riot, civil commotion, aircraft, vehicles, smoke, vandalism, malicious mischief, theft, and breakage of glass. Learn more about each peril and how your homeowners coverage may handle it. Our local New Bern Public Adjusters have years of experience working with all these items and will more easily help you get through the homeowners claims process. American Property Loss go to bat for you to make sure you receive the full value for your insured North Carolina property damage loss.